Anna Wintour really loves Blake Lively. Months after hitting Paris’ top fashion shows with the famed editor-in-chief, Lively has landed the cover of Vogue’s “Best Dressed” special-edition issue. The Gossip Girl star shares the honor with many other lovely ladies, including Michelle Obama, Angelina Jolie and rumored future covergirl Lady Gaga. Lively’s cover came as a surprise to some fashion fans: She’s previously landed on her fair share of “worst dressed” lists, most recently for a kooky look that had her button-down shirt peeking out beneath the hem of a metallic high-waisted skirt. 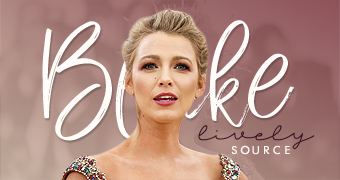 But for all her occasional missteps, Blake has had some fantastic red carpet home runs—all without the aid of a professional stylist.